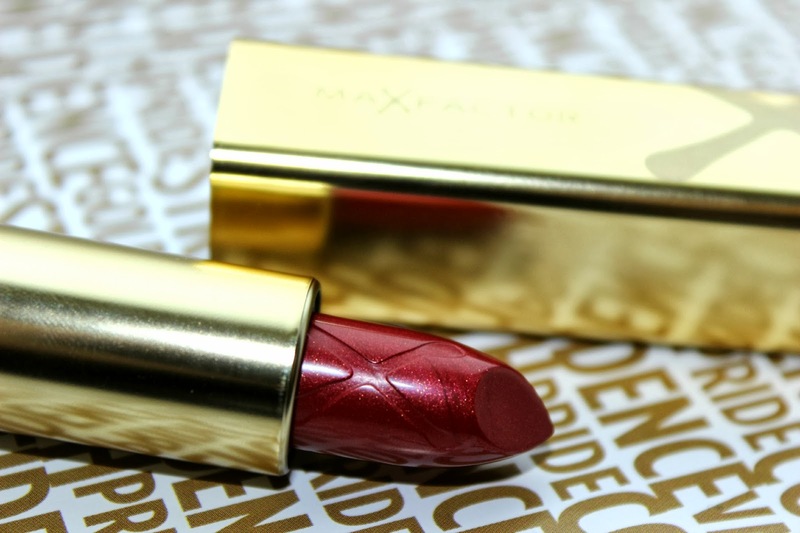 Though not a colour for spring, I fell in love with MaxFactor's Colour Elixir Lipstick in the shade Chilli 853 (£7.99) it's warm, festive and with a hint of lustrous shimmer. The perfect Christmas shade. The packaging is excellent feeling cool, metallic and very high end for a high street lipstick as well as the engraving on the lipstick itself. 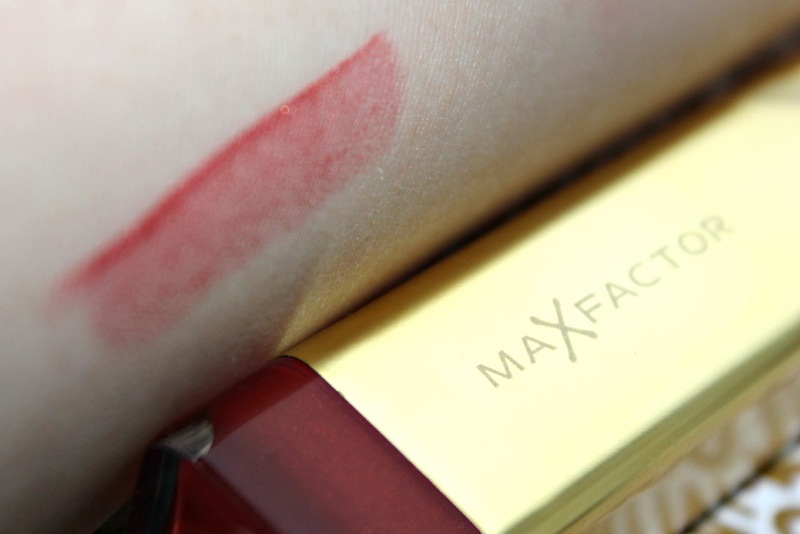 I adore the rich red shade with a hint of gold, though it does remind me somewhat of the shimmery, sheer lipsticks I used to borrow out of my Mum's beauty box when I was five and is far from the deep, matte shades I usually go for. 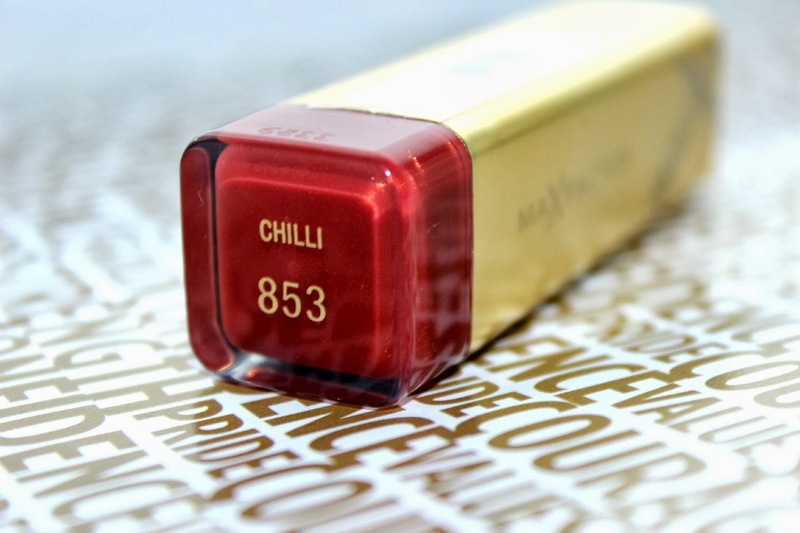 I was wearing this in my latest video, and find it highly moisturising and, though not the longest lasting lipstick, I find it lasts a matter of hours before I have to reapply. In fact, the only thing I don't like is the smell, which reminds me a little of cheap facepaints.